Are you able to find the Apply Button in your Floriani FTCU digitizing program? Anytime you open your Floriani FTCU software program, you most likely will not see the APPLY button in the properties box. You will need to adjust the workspace to be able to use the Apply button to set changes in the Properties box. 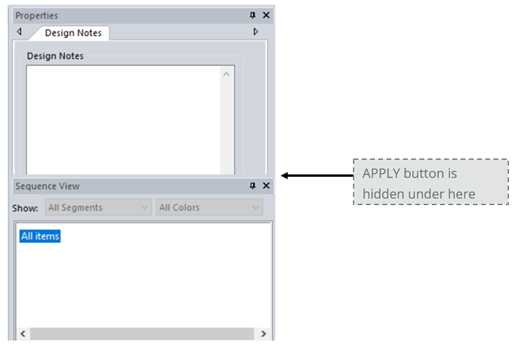 And, each time you open the program, you will need to adjust your workspace to be able to use the APPLY button. 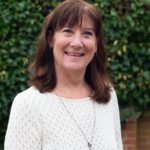 The adjustment you make does not retain itself when you close the program. Notice that the tab in the Properties box says “Design Notes”. You will not be able to adjust the screen to get the Apply button while it is in this mode. 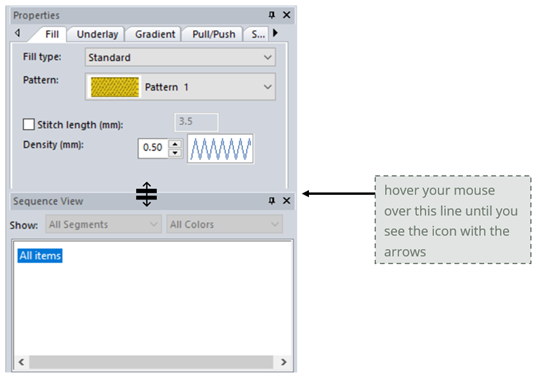 You must first choose a stitch tool to engage the Properties tabs and make them visible. Now, the Properties box will be visible and show the properties tabs based on the Stitch Tool that you choose. Keep in mind that you will need to repeat this adjustment each time you open your FTCU program. Below is another helpful suggestion for setting up your workspace preferences. I find that these FTCU settings are the best for FTCU users who are just learning to use the software. 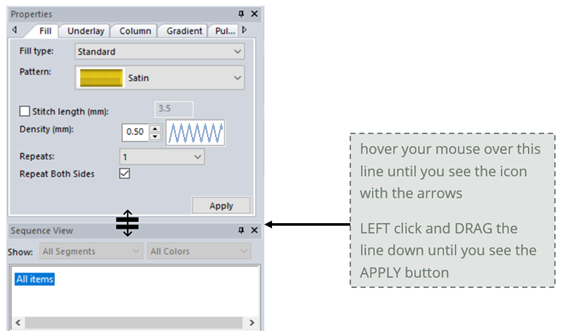 Later, you can adjust the preferences for more advanced options when you become more familiar with how the basic stitch tools operate. 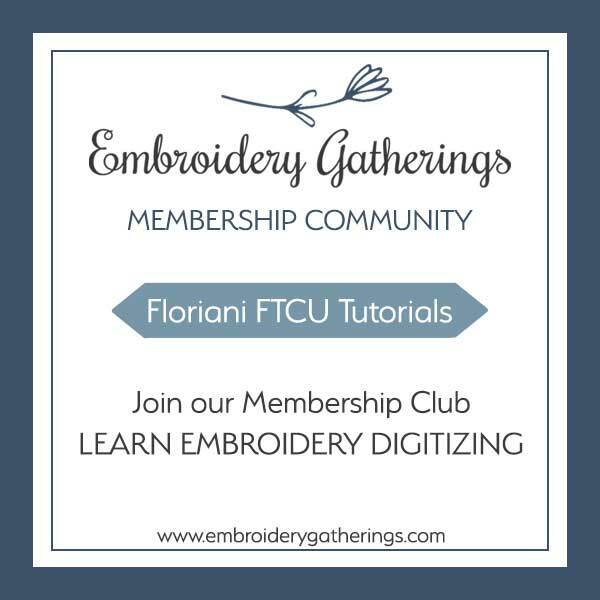 IMPORTANT: Set your FTCU PREFERENCES to match the Embroidery Gatherings tutorials before you begin digitizing. If you would like a copy of this tutorial, please fill out the form below and a free PDF will be sent to your email inbox. And, as always, if you have any questions, please send me an email and I will try to help!